We now live in the era to take care about the environment in public spaces. Customer's, too, are concerned about the environment. 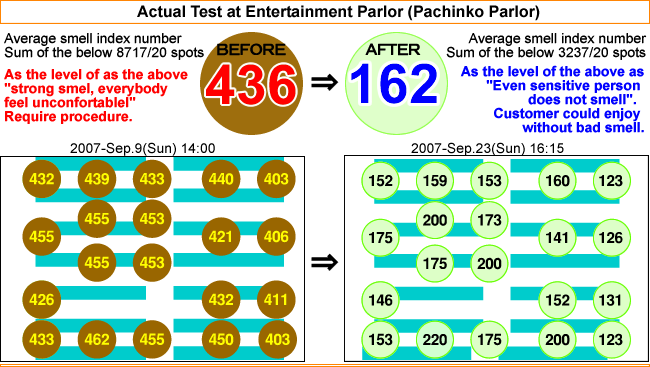 Air of Entertainment (Pachinko) Parlor is dirty from smoking. 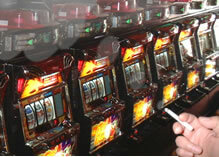 The problem is that passive smoking is worse than actual smoking due to the fact that second hand smoke contains a toxic chemicals linked to cancer, heart disease, diabetes and other health conditions. According to the governmental standard of smell classification, we have examined the air in the parlor ranks the level 4 of 6. 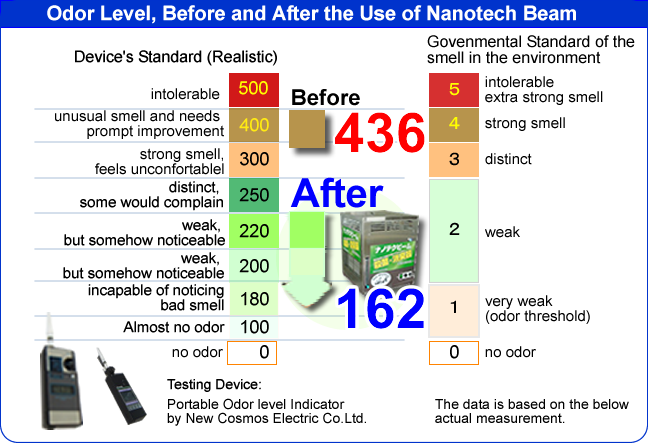 However after installing Nanotech-Beam, the air in it improved and lowered its level from 1 to 2 of 6; it means Nanotech-Beam ameliorated the air by almost 80 to 90 % of smell and smoke. Additionally the air is sterilized and disinfected because of Nanotech-Beam's other ability.